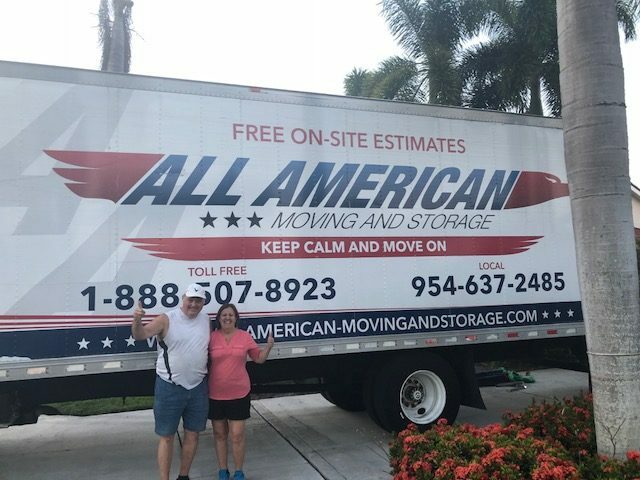 All American Moving and Storage is a South Florida based moving company that is family owned and operated. We specialize in residential, commercial, business, and long distance moving in Broward, Palm Beach, and Miami-Dade County. We also offer packing/unpacking services as well as storage options for our customers. 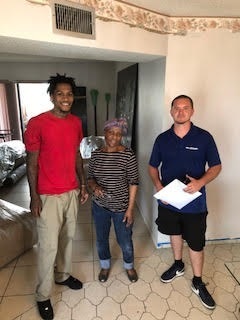 Here at All American Moving and Storage our movers stay true to our values and stay in touch with our customers from the initial quote until the last piece of furniture safely set up in your new home. We value our customers and only provide the highest quality customer service and moving services. All American Moving and Storage does whatever it takes to make your move run smoothly and hassle-free. Our movers go above and beyond to ensure your belongings are packed securely and transported to your destination safely and efficiently. Whether you are relocating an entire office or simply moving down the street, our professional movers at All American Moving and Storage are here to assist you every step of the way. Contact us today for a FREE on-site estimate or get a FREE moving quote HERE! MOVING IS STRESSFUL LET OUR MOVERS HELP! 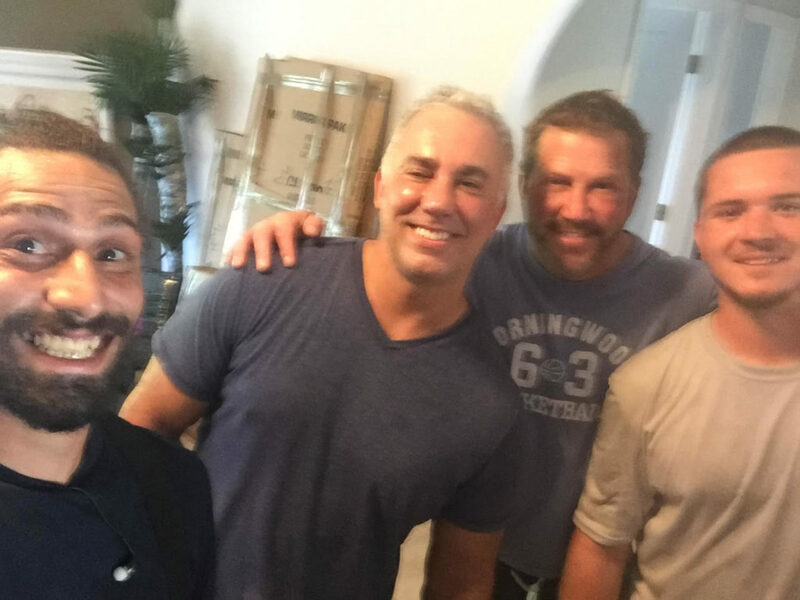 Our experience with All American Moving and Storage from initial contact with Bill for the estimate, follow-up with Riley to finalize the move schedule to be excellent. I also got a call the day after the move was finished to insure everything met or exceeded our expectations. Roe and his assistant packed and loaded the truck at our previous home in one day. They left late in the day to drive so they could be close to our new home that night. They were there early the following day. 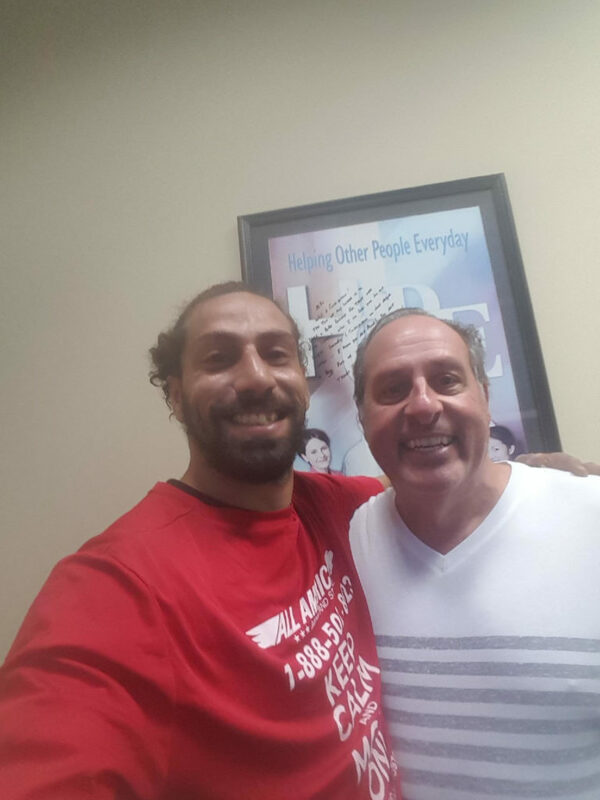 Both were very professional and friendly and willing to go the extra mile to insure our move went as planned. 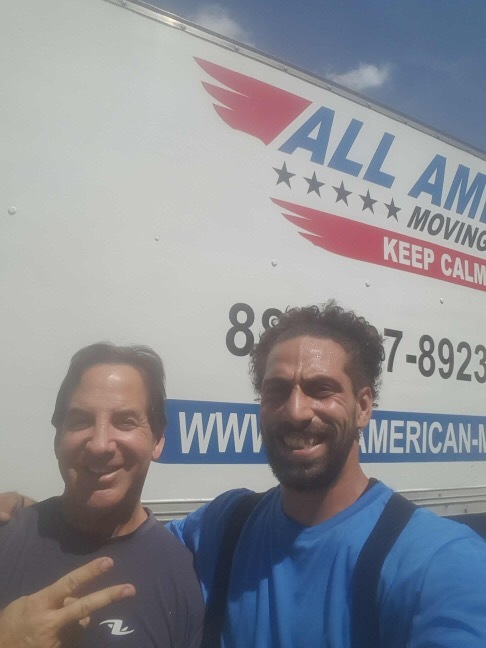 I highly recommend All American Moving and Storage for your next move. Our three men arrived late in the day on their way back from a delivery. One would never have known that, they were unbelievable. They were professional, courteous, upbeat and best of all they tackleJimd our problem with skill and care. We had three full size armoires that had to be hoisted over an upstairs railing on the upper front porch and lifted gently down to the sidewalk. We did not want anything to happen to our armoires or to one of them. They didn't blink an eye. They wrapped them up and strapped them up over they went. There was no damage to our furniture and they were all fine. We could not have been happier with the outcome and wish these young men the best. Our professional movers have years of experience in the industry and undergo an intensive hiring process. It is very important to us that you hire a reliable and trustworthy moving company to handle your belongings. We care for your possessions as if it were our own, with special care and attention. Not only are our professional movers highly trained, but also utilize the most advanced equipment offered in the industry. We use state-of-the-art technology as well as on-board GPS and communications equipment to ensure no matter where you are moving we are always right there with you. This company is a step above the rest simply because we cater to our customers and maintain the highest in customer satisfaction. 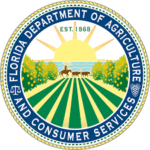 We are licensed and insured, and registered with the Department of Transportation. With All American Moving and Storageyou can rest assure you are moving with the best! At All American Moving and Storage, we make residential moving services stress-free with our fast and timely service matched with our low, affordable prices. 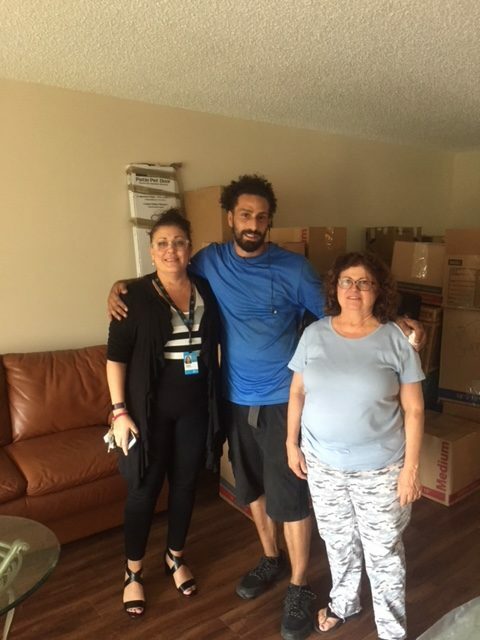 All American Moving and Storage is South Florida’s choice for residential moving services in Ft. Lauderdale, Pembroke Pines, Sunrise, Coral Springs, Miami, West Palm Beach and more. A residential move can be as simple as right down the street or to another city if Florida. Our professional movers have the experience and expertise to make your local move a smooth transition. Regardless of distance, we guarantee quick delivery times and even same day delivery to locations within the state. Whether your move is on the weekends, holidays, or at the last minute, you can expect the fast and efficient service low, affordable prices. We strive to deliver quality moving services to our customers. At All American Moving and Storage, we have the fleet of moving trucks needed for long distance moving services. We understand that during a long distance moving services, anything can happen! We take extra precautions to ensure your items are safe. We prevent any accidents or need for repairs by keeping our trucks in tip-top shape with regular maintenance. All of our trucks are modern and equipped with air-ride suspension to sustain a smooth, turbulent-free ride to your new home. Every moving truck is spacious, safe, modern, clean, and served regularly. You will never have to worry about our ability to provide the services you need precisely when you need them. The swift and convenient nature of our long distance moving services makes it easy to provide you with a hassle-free moving experience. 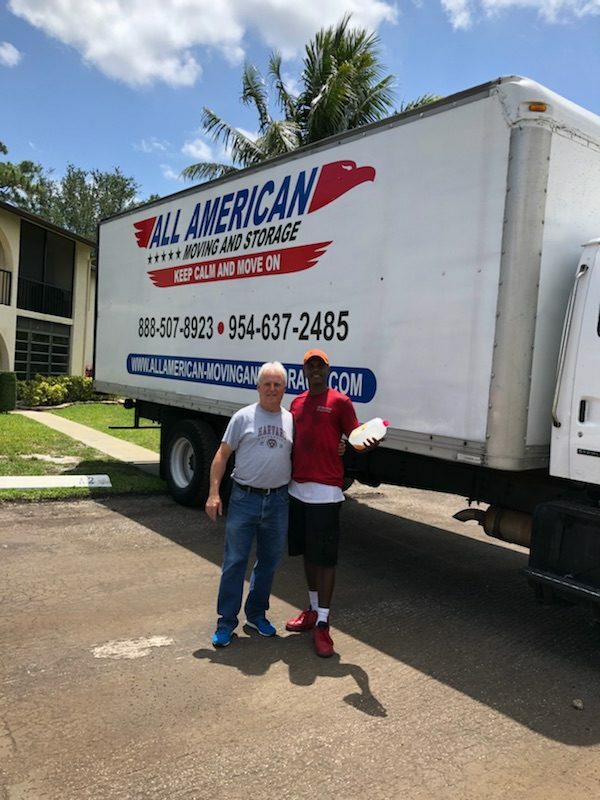 All American Moving and Storage has the experience, fleet of trucks and expertise for long distance moving, from Florida to your new home anywhere in the U.S.
At All American Moving and Storage we understand a fast and effective corporate relocation is crucial for your business. We know that time is money, and so we deliver the highest quality commercial moving services to businesses throughout South Florida. We understand and respect that your employees are your biggest assets. Furthermore we plan and coordinate the entire relocation process, saving you money and reducing loss in productivity of staff. We customize every aspect of your commercial relocation from start to finish. A lot of time and resources go into a commercial relocation. Our commercial relocation service will help you make the most of these efforts by sealing the deal with an exceptional corporate moving experience. Our employee relocation specialists work quickly to make relocating employees a seamless transition with little to no effort on your part. Our movers have the experience in the commercial moving services department and will make your office move smooth and successful. At All American Moving and Storage, we don’t only offer exceptional moving services, but we also have state-of-the-art private storage solutions services. With facilities available to better serve yo and your property. Our storage facilities are equipped with many features that’ll meet any and all your storage needs. We understand that over the years it is easy to accumulate amount of belongings or you may simply need the storage space because of an in-home renovation. No matter what your storage needs are, we can help you find the perfect solution. Our storage solutions services gives you the freedom to make smart and cost effective decisions. Having over 15 years of experience in the moving industry, our family owned and operated business has the answers to best suit your storage solutions services needs.